The above downloadable printable is a great resource for high school students, elementary school students and adults at Pre-intermediate (A2), Intermediate (B1) and Upper-intermediate (B2) level. 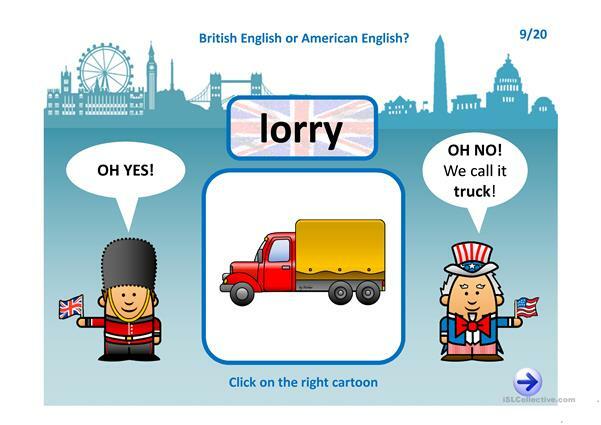 It is excellent for strengthening your students' Speaking and Reading skills. 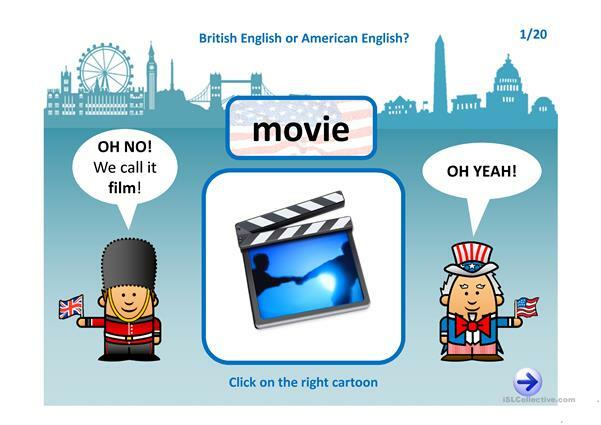 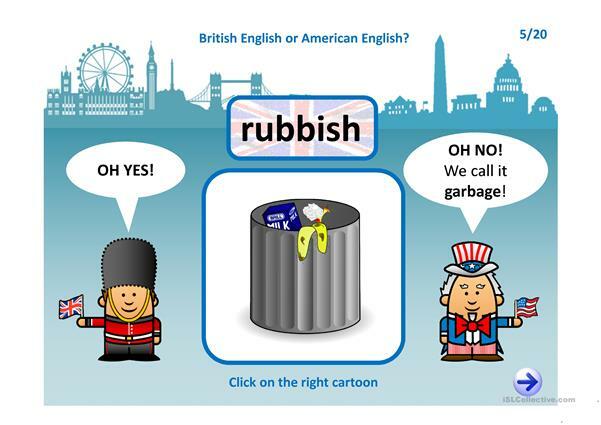 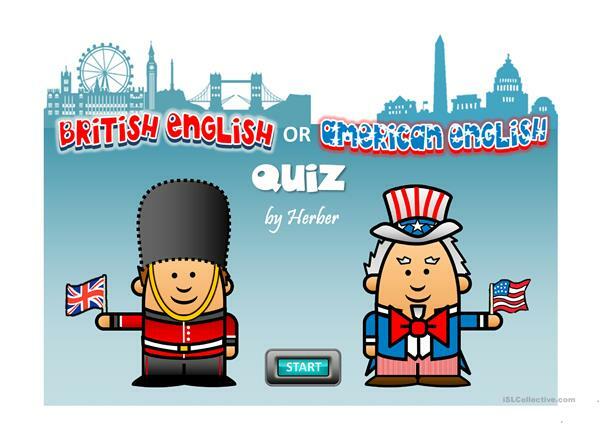 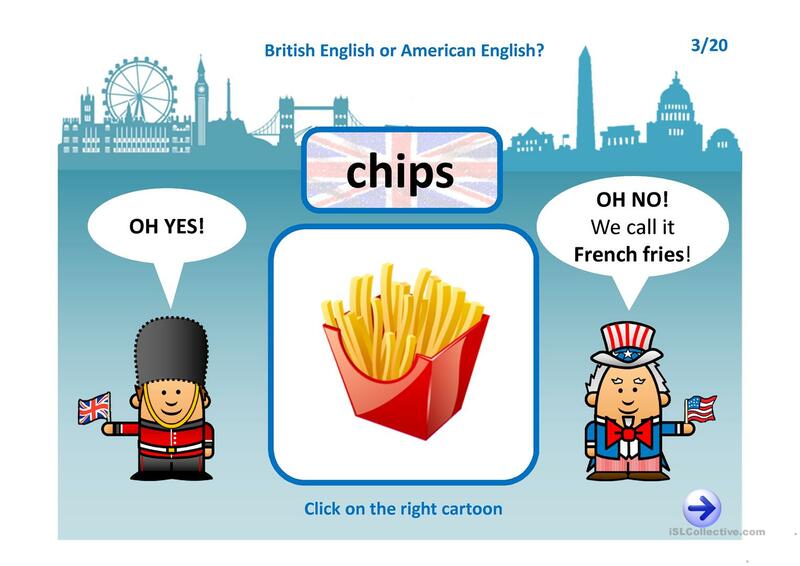 It is about the theme of American/British English. The exercises come with a key.